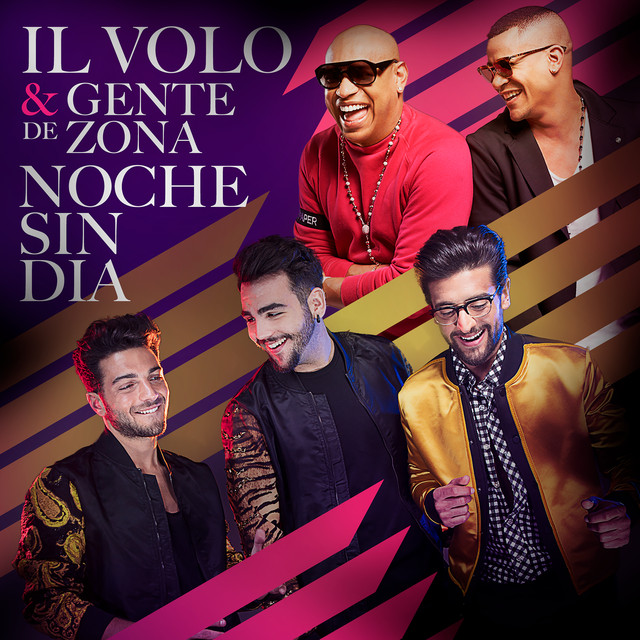 Have I gone too far over the edge when I would rather spend the day on the computer watching everything Il Volo than doing anything else? Am I too far gone when I don’t know what is happening in the world, because video clips of Il Volo concerts replace watching the news on TV? Am I misplacing my priorities when I refuse to answer the doorbell, because I haven’t done any housework, since it cuts into the time with my guys? Have I left reality and moved into another time zone when I realize that I have missed going to my card group again, because I was so immersed in watching all of my Il Volo DVDs that I forgot to go? Is my family going to commit me, because I keep calling them Piero and Gianluca and Ignazio instead of their real names, and not just the men? Will it drive family and friends to call the men in white coats when I keep drifting off during conversations, because they are all so boring compared to having delightful thoughts about my guys? introduce myself as Mrs. Barone? Maybe I need to see a shrink, but I’m not quite ready to be cured of living in Il Volo Land just yet….not today…..maybe tomorrow……maybe not…..probably not……..
Mary, you speak for many of us, no ALL of us! Thanks! I’ve just experienced my first concert!! I am truly addicted now! WE NEED HELP,! No, we need to find a way to keep them in the USA!….kidding, of course! Not!! Mary, this is so funny and mostly true! Should we be concerned? Mary – so true. There’s no place like il Volo Land! Mary, you have described my day-to-day perfectly! Happy and not alone in Il Volo Land!! Mary, we understand you entirety! Mary – It is much nicer to do what you have been doing instead of listening to the horrors and sorrows happening in today’s world. 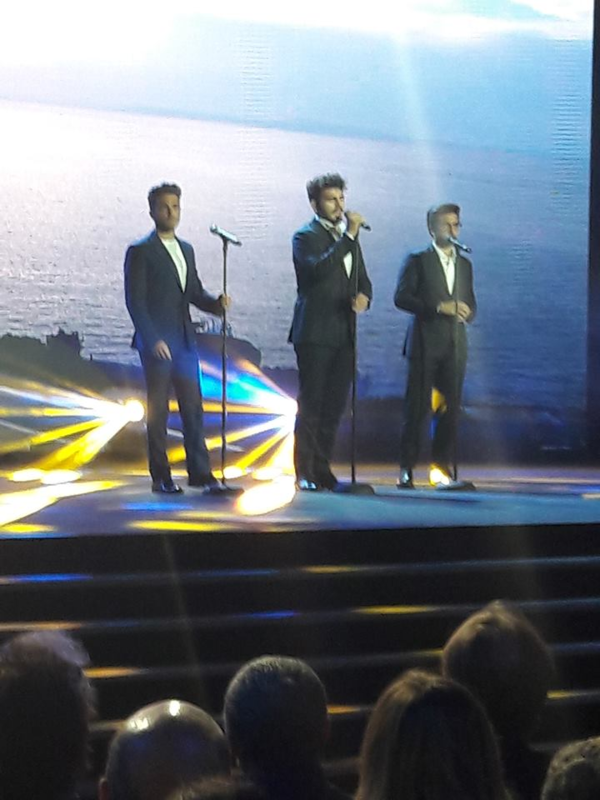 My 2 Il Volo concerts In 1 week are over (so quickly) & I’m wondering when I will see them again. I completely understand your situation. Now I know I am not alone. I leave the ironing un-ironed, the dusting un-dusted, the vacuuming un-vacuumed, but my computer and youtube working overtime. Why, becauseIi am busy watching and listening to out favorite Italians as they rove around this country and the world., delighting all who hear and see them. Please let them stay safe in Europe !!! Barbara, if daydreams were reality there would be Mrs. Barones, Boschettos and Ginobles too many to mention. But in the realm of daydreaming there is room for us all. 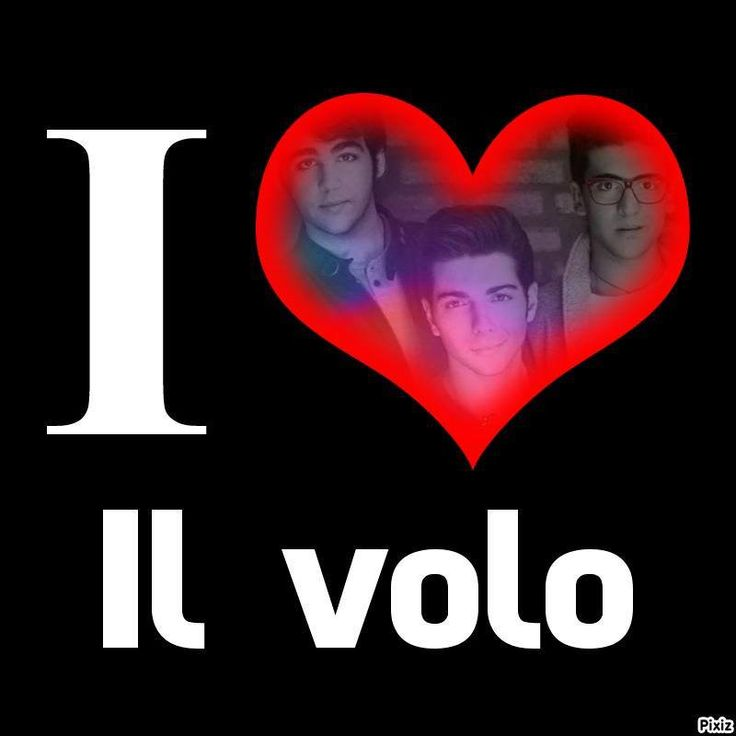 Mary I feel the sane way about IL Volo as you do. Great post. Can;t wait till Thursday and Friday. Mary thank you so much for sharing their effect on you with us !!! I am guilty too !! Our magnificent boys have cast a spell on us and now instead of going about our daily lives we wallow around in Ilvololand 24/7 !!! Well one thing is for sure !! If we get committed because of our passion,addiction,craziness or whatever you want to call it we’ll all have a blast together !!! So if I’m crazy I sure am lov’in it and have no intention of ever casting off their spell !! I see nothing wrong with any of the behaviors that you discussed in your post. 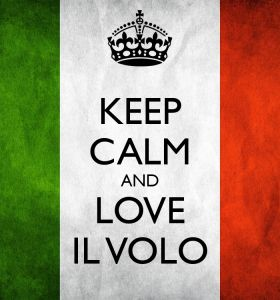 I’m sure everyone on Flight Crew will agree that the amount of time you spend in IlVoloLand seems perfectly normal. I am however, very concerned that you participate in organized card games – be very careful as this might lead to a compulsive gambling habit which might be damaging to your family life and your financial situation. Everything else sounds like a perfectly healthy lifestyle to me! Thank you, John, for your approval. The card game that we play is called “Hand and Foot” which really isn’t as ominous as it sounds, and no money ever changes hands. But I will steer clear of the machines in Vegas so as not to cultivate a serious gambling addiction. It appears IL Volo land is a great place to be. You will come back to reality when the date of that concert is past. It’s almost heartbreaking to see them in person and then fall back to videos. Great but, just not the same. LOL-just love this! 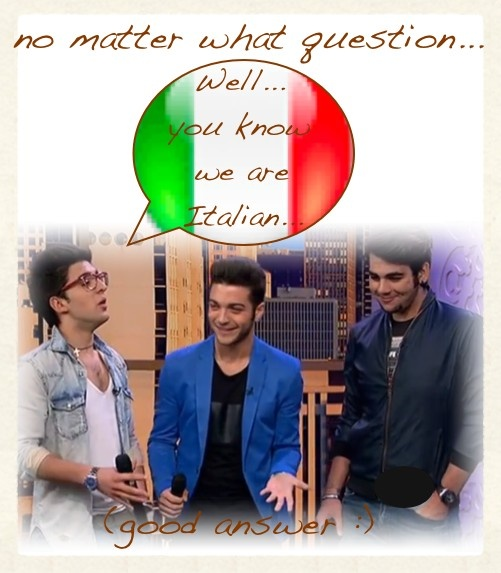 You are quite normal and have millions of us who also wish to remain in Ilvololand! 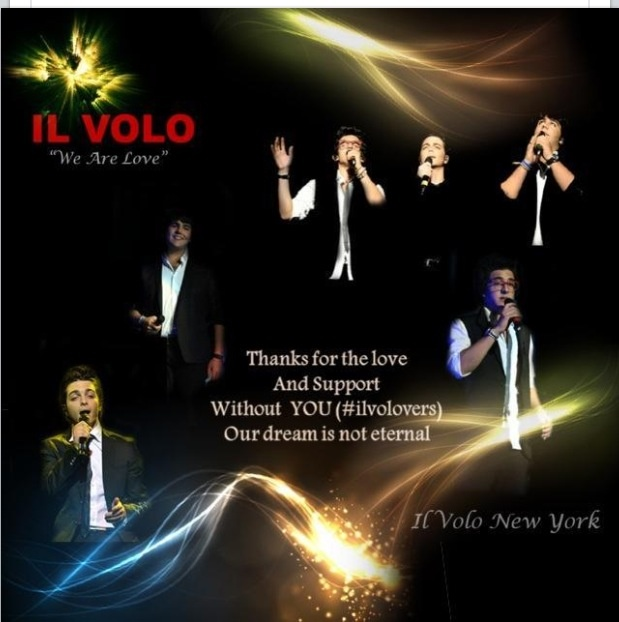 As a matter of fact, you just described the ” normal typical Ilvolover” and what Ilvololand is all about! I resent (but am grateful for my job which unfortunately I need still) because it takes me away from more time spent the same way! No Marlene we won’t come back to what you call reality because IL Volo is part of our lives already so we will always have them in our hearts and that is a wonderful thing..
so glad to be a fan of IL VOLO. I thank God all the time that I never lost my ability to daydream. IN my daydreams I am Captain Sorka the fabuously famous pirate with her dashing second in command, Piero! Or I am that super celeb who just wants the quiet life of a IL Volo tour and enjoys her wonderful adventures with her ragazzi trio. Ahhh yes… oh, wait, I have to go back to work! Ack! I gotta get going! Back to reality! The Cleveland, Ohio was the highlight of this year/ my life ? I am now a widow , no children = nothing exciting to look forward to. I know it’s my ‘ not doing ‘.